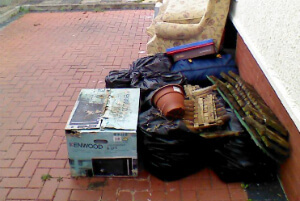 East London IG Domestic & Commercial Rubbish Removal | Quality Property Care Ltd.
Those moments, when you keep holding and stop throwing old things, come to any of us. Whether we don`t have enough time or the resources to remove the junk, it becomes more and more. And one day we wake up in a house full of trash. Or we end up to come in repulsive and unpleasant working environment. No need to move or dismantle anything at all! The experienced technicians from Quality Property Care Ltd. will dismantle all the big furniture and junk and pack the pieces, on their own. 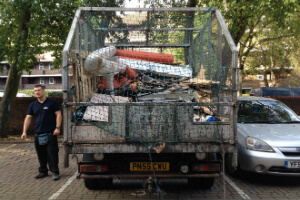 If you have more thoughts or details you would like to get, speak to us and we will organise the professional junk removal service in a most convenient for you time and way. No matter what you want cleared out and removed, you can rely on the trained, experienced and vetted staff of Quality Property Care Ltd. to collect the junk, and take care of the disposal of different types of rubbish securely and in accordance to all polices at a great price. After you receive the primary price estimate and book a visit, the rubbish removal operators will come to the location, and determine the actual price in accordance to the specific type, volume and quantity of the objects or other waste you need to take out and dispose of. The waste will be packed, transported and disposed of based to all regulations for green waste disposal. We deliver the results inside the bedroom, living room, children’s room, garden, hallway and kitchem. We can securely remove and dispose of wardrobes, beds, bedside tables, dressing tables, ,mattresses, chests or drawers,, sofas and armchairs, living room storage, coffee and side tables, TV stands and cabinets, console tables, shelving units, cot beds, , bunk beds, playgrounds, bunk beds,wardrobes, desk and chairs. In the kitchen we remove dining tables, stools and benches, dining chairs, barbecues, umbrellas, shoe cabinets, racks and stands, hoods and hangers, wall shelves, baskets, portmanteaus. There are household items like fridges, freezers and so forth that need special disposal and have extra fees included to them. While on the phone be sure to mention that type of sofa we are taking out as this will help us figure out how many men and what equipment to bring. We prefer that you bag the items before we come, however, it is not necessary as our crew can do that too. Starting with single mattresses, ovens, tables, washing machines, double mattress, divan beds, dryers,cupboards, TVs, PC monitors Kitchen units, armchairs, single beds, fridges, TV stands,, freezer, book shelves, mirrors, 2 seated sofa, double bed, carpets, 3 seat sofas, king sized bed, microwave, wardrobes and tubs. These are just to name a few. Items like tires, macrowabes and TVs are charged extra as they require a special disposal method to guarantee their safe removal and recycling. To book this service contact 020 3746 4287 and define your needs, how much we are removing and what type of materials we have to remove. Make certain that they are easily accessible as this will make our work a lot easier and reduce the hassle we have to go through. Use the booking form to get more answers or to book direct, without any delays. The customer support center is accessible so please feel free to call anytime you need us, all free of charge and without any obligations to our firm. We can consult you and come for a survey totally free, if you call ahead of time.